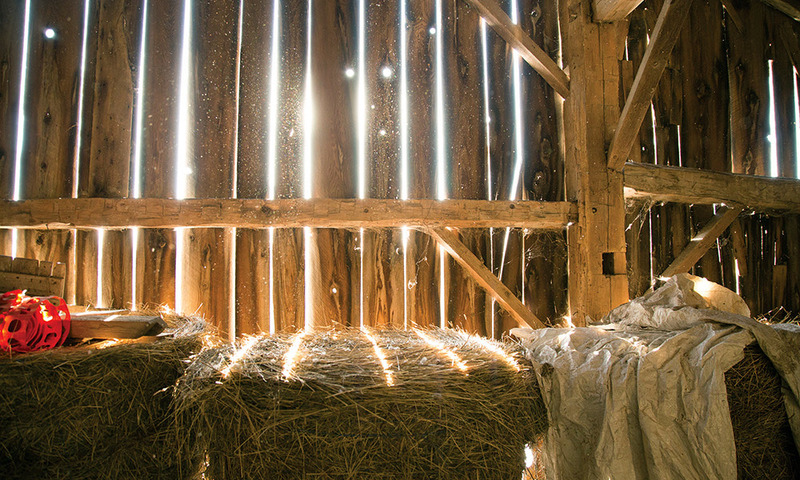 Local photographer Hannah Dickie has been working for years on a project she hopes will connect with rural audiences and introduce urban residents to the joys of rural living. Dickie is a Lucknow-area native and F.E. 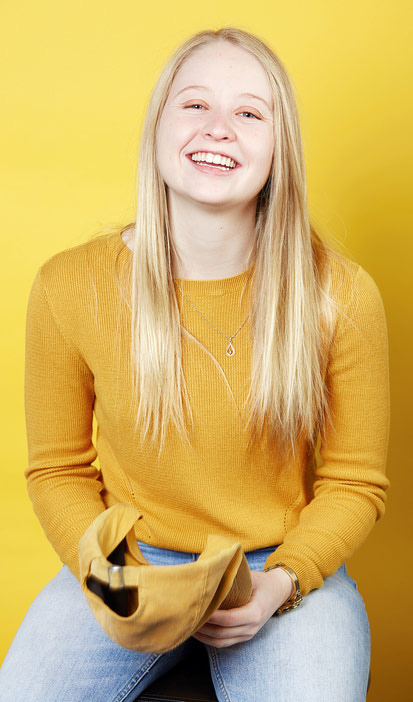 Madill Secondary School graduate who is now at Sheridan College in Oakville, studying at what is said to be one of the best photography programs in North America. She is also a photographer for The Citizen and has had her work exhibited at the Goderich Co-op Gallery. During her time at Sheridan, she has been honoured a number of times, including the award for best portrait last year and for best documentary image in 2017. 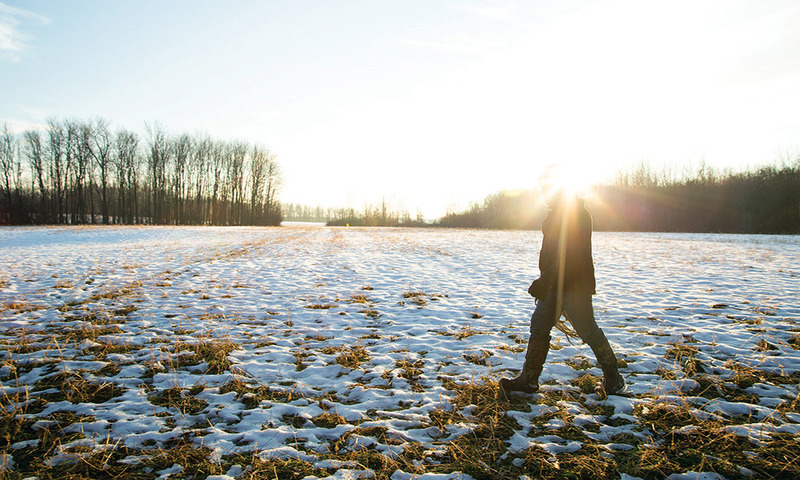 While she has been attending classes in Oakville, Dickie has also been working on “Home Grown”, a long-term documentary photography project that focuses on her rural upbringing. It was when Dickie first attended Sheridan in one of Ontario’s larger city centres that she felt the need to document the rural way of life. Meeting her fellow students, she found that very few of them had a connection to rural living. As a result, she wanted to take the opportunity to showcase the rural way of life showing the beauty of living away from the province’s city centres. “Moving to the city for the first time, [I found that] not many people had experienced rural living,” Dickie said. When she began documenting life at her Lucknow-area farm, she was heavily influenced by her father, Walter. 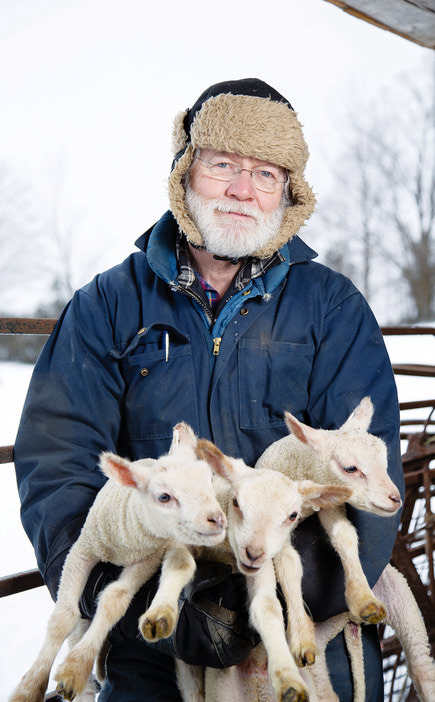 After working at Bruce Power for over 40 years, he retired and began his time as a hobby sheep farmer and maple syrup producer. Dickie says that her father was a great inspiration for the project, not just as a father figure, but as a farmer as well. “This series aims to string together [Dickie’s] life now and how it has been influenced by her surroundings. [Dickie] gives viewers a glimpse into not only her life, but also her father’s, ultimately providing the story of her rural upbringing,” reads a description of the “Home Grown” project on Dickie’s website. Dickie has been working on the project for several years and, in many ways, doesn’t see the project ending any time soon. She hopes it will be a long-term documentary of rural living that will feature photographs from numerous aspects of her life. In wanting to tell her story, again, her father served as a major influence. She says he has always been a great storyteller and so she wanted to take her skills and passion as a photographer and use them to tell her own story her own way. While she has been mainly working on “Home Grown” on her own time, as she has progressed through her studies at Sheridan, she has been able to use photographs for the project that she’s taken for classes along the way. While it is a true challenge for a photographer to tell a story using only images, Dickie has also expanded her storytelling over the years, creating an online magazine and incorporating text into her images on her website as well. She has been charged with creating a book of narrative photography through her course. Whether that’s the final form the project takes or not, Dickie says she doesn’t know, but she hopes to present it to the public one day, either in book form or as a gallery exhibit. It will, however, be featured, as part of her class’s final graduation show in Toronto. While “Home Grown” is still a work in progress by Dickie’s own admission, she says she’s really proud of where the project currently sits, feeling as though she’s been able to connect with her fellow students through the project, accomplishing what she set out to do with it in the first place. “Home Grown” isn’t the only series Dickie is currently working on. She’s also producing a photo documentary that examines the state of rural churches and where faith is heading in the future – a project she used for her thesis in her previous semester. For Dickie, studying at Sheridan has been a dream come true since she was first gifted a camera in public school. Growing up in rural Ontario, she says she wasn’t sure about pursuing a career in the arts because it isn’t exactly the most well-worn path to prosperity for rural students. However, it was her father who convinced her to follow her dreams and her passion, regardless of what the majority of her contemporaries were doing. She then began to hone her skills at F.E. Madill in Wingham and was then accepted into every post-secondary institution she applied to, including Sheridan.